HantaSite – Sin Nombre Hantavirus Information: Are Seattle's Cascade Foothills a Hantavirus Hot Spot? Are Seattle's Cascade Foothills a Hantavirus Hot Spot? In patients that survive a Sin Nombre hantavirus infection, the initial phase of recovery from the deep state of respiratory and circulatory collapse called hantavirus pulmonary syndrome, (HPS), is often fairly rapid. That initial phase, however, is not full recovery, a process that takes much longer. Some hanta survivors seem to reach a plateau after a year or so. Yet almost all of the information sites for Sin Nombre virus infection state this information as "recovery is rapid." This raises false expectations of quick return to normalcy, both in the patient, and in their family, when the actual process can be a slower, much more difficult slog. Even though hantavirus recovery is slow and difficult. It does happen, and patience is paramount. As patients with hantavirus pulmonary syndrome regain consciousness, at some point a hantavirus survivor will become capable of first, precious, lucid thoughts. WTF! How – and why – did my wife nearly die from this extremely rare disease, hantavirus pulmonary syndrome? A Big Leaf maple in our backyard. The trunk of this one is > 2' diameter. Deer mice, prime reservoir for hantavirus, feed on the seeds from these trees. Trying to understand this question, along with learning about the recovery process, have been consuming matters for me since the acute phase of her illness. It is the research into those questions that has brought me to the conclusions that I describe below. I believe those conclusions are well-supported by the evidence, just a brief description of which is provided in this post, and I believe that they should be disseminated to the public. Releasing current hantavirus information is what many states that have more experience dealing with Sin Nombre hantavirus do. For examples of this, see the U.S. hantavirus alerts issued recently that are linked, by the Program for Monitoring Emerging Diseases at the bottom of my 3/15/2016 post there at http://www.promedmail.org/post/4901561. States such as Arizona and Colorado routinely provide information about even single hantavirus cases, because they tend to occur in clusters. Despite this, the King County health department has not, and apparently does not intend to, issue any kind of alert, or even present basic information to the public. They are awaiting guidance from the CDC. Since last December, apparently. I want to emphasize, however, that they did not attempt to deter or discourage me from presenting this information to the public myself. On the contrary, they have offered to help me with information and support as I pursue this project, which I welcome. I also agree with the local health authorities that it is critical that information about this local hantavirus cluster should not lead to over-reaction, but should be kept in proper perspective. Even given reason to believe that the risk is currently in a heightened state, which I will outline below, that risk is still quite low. I believe, however, that people should be provided with available public health information of this nature, so that they are enabled to make their own informed judgements. What is a hantavirus hot spot? A hantavirus "hot spot" is an area where the probability of humans contracting hantavirus is especially elevated, either in comparison to other areas, or significantly above the level that is typical for that area. For the Sin Nombre strain of hantavirus, which is believed to be extremely rare with only about 700 documented cases in total, an elevated risk doesn't mean that large numbers of people are contracting the illness, but only that a significant "uptick" has occurred. For the "uptick people" themselves, even though that number may be small, is at least one too high. The abstract for a paper on the Four Corners hotspot, which is far "hotter" than any other area but is kind of the archetype, can be found here: http://www.bioone.org/doi/abs/10.1893/0005-3155-85.1.38?journalCode=bios The Four Corners region remains one of the most active hantavirus hot spots. In contrast, there had been no previous cases of hantavirus pulmonary syndrome reported as contracted in King County, with a population of about two million people, since 2003 (CDC website). That makes 23 million person/years, if you will, without a single case of HPS. This last Thanksgiving, 2016, my wife nearly died from hantavirus pulmonary syndrome. She contracted it right here in King County, near Redmond. For this unfortunate reason, I have direct information on her case, (likely greater detail about the progression of the "prodrome" etc. than is typically available), so I know that there was at least one local hantavirus case locally and recently. No official notification of any kind was issued to the community. Now we have learned, purely through "the grapevine" rather than from any informative health authorities, that a man in Issaquah, about 10 miles away, died from hantavirus in late February, 2017. After thirteen years without a single case, in just three months time there have been two positively confirmed cases of Sin Nombre hantavirus infections, with one fatality, here in King County. That's a significant statistical uptick. We do not know if there have been even more HPS cases, because authorities did not inform anyone about these two, now known cases. If you look at the King County website, as of 03/17/2017, it states that there have been no recent hantavirus infections, and that the last fatal case was in 1997. The page was recently updated, but not the data in it. "Last Updated March 14, 2017". We have notified them of this, and they responded, but not by correcting the misleading and erroneous material. They responded with bureaucratic reasons why they aren't going to correct it. No cases of hantavirus pulmonary syndrome (HPS) were reported in 2015. Since 1997, four cases of HPS have been reported in King County; three cases occurred in adult males and one in an adult female. Two cases were most likely exposed in Eastern or Central Washington, one in Idaho, and one in King County. The last fatal case occurred in 1997. Each year in Washington state between one and five hantavirus cases are reported, usually from the eastern parts of the state." Those four cases since 1997 are from years ago, and do not include the recent HPS cases. Don't worry. King County. Be happy. No hantavirus to look at here. There is also an issue in that site focusing on combatting rats, rather than mice. Rats do not cause hantavirus infections in King County. Mice do. Back to the hot spot. If these (at least) two cases of hantavirus had happened in isolation, out of the blue, as it were, the current state might be dismissed as being of anecdotal nature. But this serious illness and the fatality happened in direct conjunction with the kind of sequence of climatic and environmental conditions that have been shown to cause increases in numbers of invading, hantavirus-shedding mice, directly increasing the probability of human infection and raising the actual toll in illness and death. In fact, one of the most important emerging tools for coping with this disease on a public health level is prediction based on such climate, weather, and ecological conditions. For example see this comment post in ProMED that was linked by them at the bottom of my comment. As I will describe below, the climatic conditions over the last year or so have strongly favored just such an increase in hantavirus infection probability. This condition appears to me to warrant particular caution among those that are in Deer mouse inhabited areas, whether they have a known intrusion or not. It merits an awareness effort to reach out to the population affected. Unfortunately, again, no such effort has been forthcoming from local health authorities. So, I'm doing it myself. 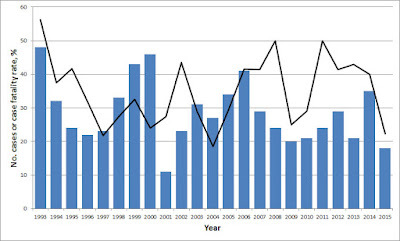 Hantavirus infections and mortality rate for U.S. by year. From CDC website. First take note that in the chart above the number of cases/year varies dramatically from year-to-year. Some years have five times as many cases as other years. This is some form of reflection of the climate and ecology cycles of five groups of organisms: mice, mouse food sources, mouse predators, humans, and hantavirus. It is also likely a reflection of the extreme variability of the infection potential between mice and humans. Some years risk is minimal. Some years, for some reason, it is much larger. Why? Hantavirus hot spots likely occur when the incidence of the disease within the local rodent population spikes up, along with the population of the rodents themselves. Not only are there more mice around to come into contact with people, but more of those mice are actively carrying the virus and capable of "shedding" the virus, predominantly in their feces and urine. There appear to be correlations between climate conditions and the sequence of those conditions, with the incidence of hantavirus in humans. All such correlations, it should be noted, depend on the validity of the hantavirus incidence data. In a study in Mexico, where no cases were reported for many years despite widespread antibodies among the rodent population, clearly those data were wrong. The authors concluded that it was most probable that there were in fact, HPS cases in the Northern states of Mexico, bit that they were going undiagnosed and unreported. Other explanations offered were clearly unlikely, somehow less virulent hantavirus, or less intimate contact than on the U.S. side of the border. "Nucleotide sequence data from 5 antibody-positive rodents indicated that Sin Nombre virus (the major cause of hantavirus pulmonary syndrome [HPS] in the United States) is enzootic in the Mexican states of Nuevo León, San Luis Potosí, Tamaulipas, and Veracruz. However, HPS has not been reported from these states, which suggests that in northeastern Mexico, HPS has been confused with other rapidly progressive, life-threatening respiratory diseases." A brief description of the correlation between human hantavirus and environmental changes, and a line of reasoning for why that correlation would occur, is as follows. First Step: Some weather event, like a drought or an extreme cold period, depresses the population of mouse predators. Those events likely also depress mouse populations as well, so no increase in human hantavirus occurs at this stage. 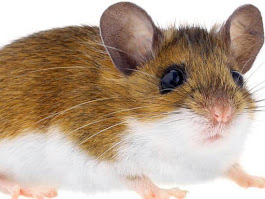 The few mice that survive the tough weather may be older and tougher than average, and so more likely to be infected with hantavirus, since they have been around longer to acquire it. The lower population would likely push against this trend, however. Snow day in our side yard. Second Step: Some other weather event happens that favors mouse population increase, like a really good year for acorns, or whatever they eat locally. Already aided by the reduction in the numbers of their predators, the mice can breed as often as every 40 days, yielding litters of 5-10 "pups." These pups can begin to breed at a month and a half old. With plenty of food and mild conditions, leading to an increasing population of Deer mice, and good conditions for those mice, there will soon be more and older Deer mice. Those older mice are more likely to acquire hantavirus infection along the way. Hantavirus to a mouse is like our common cold, except that they never really get over it once they are infected. Perhaps that is not so different. The typical Deer mouse life span in the wild is 6 to 18 months. The longer they live, the greater chances that they will acquire hantavirus through males fighting for dominance, (again, perhaps not so different) and through exposure to each other's excreta. Deer mice are copraphagic (don't ask). Once a Deer mouse has hantavirus, always a Deer mouse with hantavirus. It is less well known how active long-term carriers are at shedding virions, but it is likely that they continue to do so, perhaps to a reduced extent. The result is that you have a greater number of mice than usual, harboring a higher percentage of infected mice that are shedding hantavirus in their urine and feces. The final step is a round of bad weather for mice, whatever that is. This is usually referred to as a "cold snap" but in the Seattle area it may have been any weather change that, along with depleting food supplies, convinced these mice that your home or garage was a better place to live and search for food than their home in the backyard. It is important to realize that much that is written about this process was drawn from experience in desert locations. It should be applied to other climates like Seattle carefully. In particular, it is often stated that increased rainfall is what increases the mouse population, and that is clearly in reference to low precipitation areas. Increased rainfall in the Seattle area is redundant. These conditions make for a significantly higher probability of infection for people living within this area in which more numerous, more frequently infected Deer mice are invading human homes, outbuildings – and vehicles than is typically the case. The locale is a hantavirus “hot spot,” during this period. Hantavirus within rodent populations has also been shown to be somewhat geographically “stable,” with generally higher incidence areas and lower incidence areas tending to remain the same over time. This is probably because of micro-environments in those areas. That’s the general picture of what happens to create a hot spot, and potentially to cause an “outbreak” of hantavirus, a sudden surge in the number of human cases. Let's see how these general requirements align with the recent conditions in the Seattle area, particularly in the foothills of the Cascades. 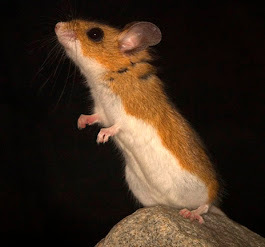 In Washington state, the Deer mouse, Peromyscus maniculatus, is the primary host species of Sin Nombre hantavirus, a strain that causes hantavirus pulmonary syndrome with a 40% mortality rate. Although a few other species can potentially carry the virus, these mice are more numerous than all others combined and are the primary reservoir. The Western Washington region suffered a form of drought in the 2015 winter, through early summer, with very little snowpack accumulating. Most of the precipitation came down in a "Pineapple Express" of warm, moisture-laden air direct from Hawaii, not only rather than snow, but melting much of the previously fallen snow. This greatly reduced the snowpack, and the elevated temperatures continued into the summer. The heat and drought placed pressure on many native species. Even some older trees died in the heat stress of that summer. Predator species are susceptible to this kind of weather extreme. The owls, weasels, even the coyotes suffered from the dry, hot weather during the early summer period when some rainfall would be normal. It was likely a tough year for Deer mice as well, but the rate at which they can rebound to high population numbers is much faster than for most other species. A female Deer mouse can begin breeding at less than two months old, and can produce new litters, comprising about half a dozen young, every 40 days or so. The unusual weather swings of 2015 and 2016 also appear to have had an impact on the massive Big Leaf Maple trees that are common in the Cascade foothills, and which cover over half of our lot. 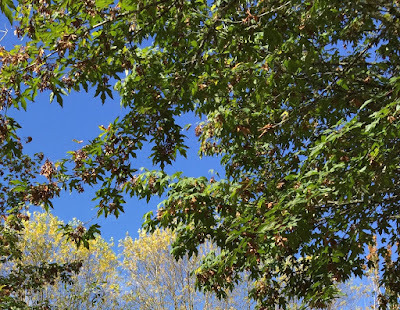 A view of one of these maples in our front yard in September, 2016. If you zoom into the picture you will see masses of seed clusters. These trees produced a massive crop of the spinning maple seeds that you normally see spiraling through the sky in the fall. In both 2015 and 2016, these seeds dropped to the ground in massive clumps, often breaking off the twigs they were grown on and coming down in connected masses. Thousands of pounds of these seeds were shed by the 50 or so mature Big Leaf maple trees on our lot. Deer mice seem to love maple seeds. They leave the hollowed out half-shells of the plump ends of the seeds in piles wherever they have fed, or set up pantries for storage. Maple seeds are durable food, with a tough outer shell that protects the edible interior. You can think of them as miniature cans of Spam, hanging from whirligigs, for Deer mice. These tough seeds can continue to provide nourishment year-round to mice, squirrels, birds and other wildlife. That brings us to a state in which the local ecosystem has depleted numbers of Deer mice, depleted numbers of mouse predators – and unlimited mouse food supply, with mild weather. What else for a Deer mouse to do but eat, grow fat, and breed? Deer mice have a gestation period of about a month. They can become pregnant again very soon afterward. The males mate with any available female, including siblings. A female produces about six“pups”per litter, with about half of those female. At the rate of one litter per every 40 days, one female could become 327,679 theoretical mice, or about 300 new mice in just six months. The Deer mouse survivors of the bad weather event rebound at a rapid rate. They reach high population numbers, and a high rate of infection much faster than the far-slower breeding predator species. Then came winter, the seed supply began to run low, and they have been driven into our homes, our garages, and perhaps most dangerously, our automobiles. Note: This article will be updated and refined.